Rembrandt van Rijn was born in Leiden in 1606. This year the city celebrates the 400th anniversary of Rembrandt’s birth with different museum exhibits, festival events and other special expositions. In February we walked a part of the Rembrandt City Tour, and followed in the footsteps of this young artist. We started our walk at the official Rembrandt Visitor’s Center, which is situated in the Scheltema Complex next to Museum De Lakenhal. A booklet of the city tour is available here for €2.95. 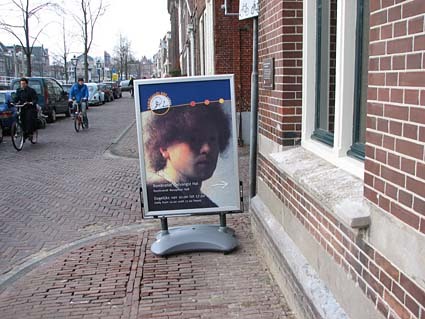 At the Rembrandt Ontvangsthal visitors can get information on the young Rembrandt and all Rembrandt activities in the city. The center will remain open after 2006. Picture postcards and brochures, books and audio-visual items will be available. 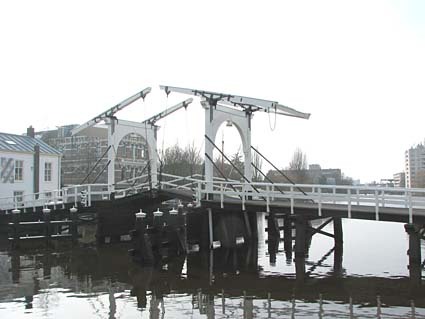 Rembrandt was born in a house near this white bridge, which is a reconstruction of a bridge that Rembrandt saw being built during the extension of the old city in 1611. A plaque on the wall of the contemporary building near this bridge commerates the spot where the house of his birth was situated. The tour continues along Weddesteegplein, which will be redesigned this year with a brand-new statue of the young artist that will be erected in April 2006. Along the Rhine river on this square are remnants of the old city wall. 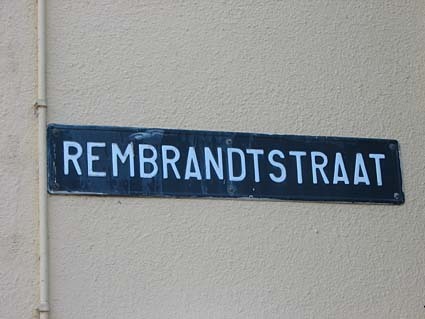 Rembrandt lived in Leiden during the first 25 years of his life. He went to school in Leiden and it was here that he decided to become a painter. He enjoyed his first apprentice years in Leiden before he left for Amsterdam. The walking route takes you past all authentic Rembrandt locations in the historical center of Leiden. 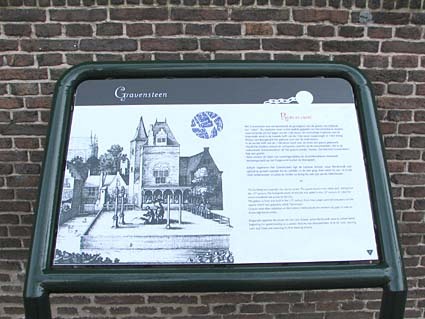 Information signs in English and Dutch can be found along the route. 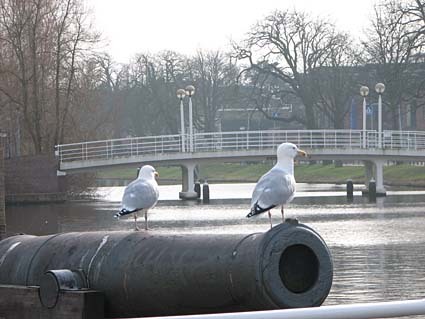 They give you an impression of Leiden as it was during Holland’s Golden Age: the 17th century. Another highlight along the walking route is the Latin School. Rembrandt attended this school, designed by architect Lieven de Key. When you look through the windows you will imagine yourself in the world of a schoolboy in the early 17th century. Just a few steps away from the Latin School you can visit the William van Swanenburgh’s studio in which the young Rembrandt spent many hours. The Rembrandt City Tour is not very long and can be completed in just a few hours. This entry was posted on Sunday, March 12th, 2006 at 10:55 am CET and is filed under Leiden, Life in Holland, Travel	with tags . You can follow any responses to this entry through the RSS 2.0 feed. You can leave a response, or trackback from your own site.